When you are in need of physical therapy services, it is important to know that as a patient, you do have options and choices. When the doctor tells you that you need therapy, explore your options. We are a physical therapist owned and operated company. We believe our hands-on techniques along with the individualized care sets us apart from other larger companies and facilities. 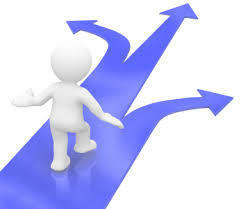 If you are currently in therapy and not getting the results you want....make a change and see what we can do for you. You can visit your healthcare physican and they can refer you for physical therapy. They will give you a referral/prescription. Once you have a physican referral/prescription, you are able to seek therapy services anywhere your insurance permits. You DO NOT have to go to the one on the top of the Referral/Prescription. Have you been in physical therapy for some time and have not gotten any relief??? Make a change and see what Woodlyn Physical Therapy can do for you. After sustaining a severely limiting back injury in 1982, Jim pursued a major career move to become a physical therapist. Jim graduated from Temple University Physical Therapy Curriculum in 1990, with honors. Jim worked for a well-known Physical Therapy Chain for over four years and realized their treatment philosophy was not patient oriented. Woodlyn Physical Therapy was founded in 1994, after Jim Brennan wanted a premier “results oriented” physical therapy practice.